LAWS #31 Role Play had the most sign-ups for LAWS ever. ‘Tis a good sign! The [A]fter [W]ords featured performers were Chris Miles and Lucy Celoni! Check out some pics from the event! Evidence from LAWS #32 Echo Park Rising is on its way! Before I forget! Make sure to check out this week’s LAWS #33 Infinite Space. It’s Sunday in Echo Park, Los Angeles. Join the event! 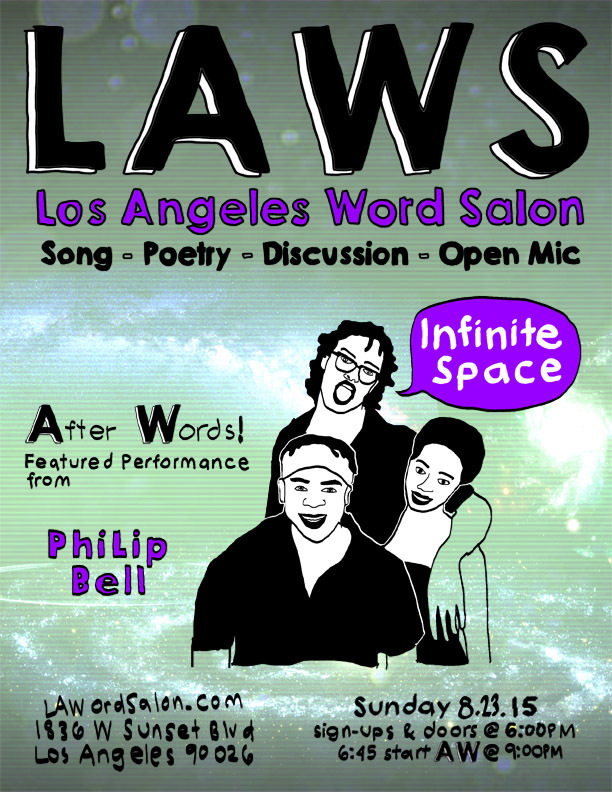 See you next week for LAWS#33 Infinite Space! Join the event!